Meet our latest Teacher Feature, Caitlin Pike! 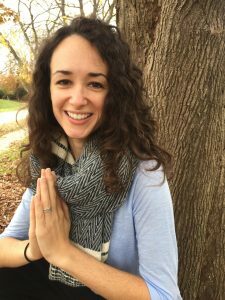 Caitlin graduated from Yoga For All Beings very first Teacher Training program and starting teaching at YFAB in October 2016. Read on to learn a few fun facts about Caitlin in her own words below. I’ve been practicing yoga since my early 20s. Though I quickly came to love it, I was so intimidated in my first few classes that I never corrected a teacher who for some reason thought my name was April until it was too late… I let her call me that until I moved away. ✂️ Besides yoga, my passion is making things by hand. I’ll try almost any craft (weaving, pottery, sewing, embroidery, bookmaking…) but I always come back to my first love, knitting. I also like to make soap, candles, and various bath/body products. You can read some craft tutorials I’ve written at http://f52.co/1ZSUf5d. I love being outdoors and in nature – camping, hiking, biking, etc. This summer I’ve gone on (and absolutely loved) my first backpacking and bike camping trips. 🐱 I have a big, fluffy black-and-white cat named Henry Bear. He loves belly rubs and is the apple of my eye! ✨Find Caitlin on the regular schedule Mondays at 6:15pm for Vinyasa Level 1-2 and you can also find her subbing classes at YFAB on occasion. 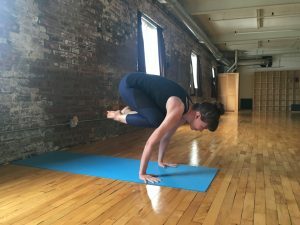 After a decidedly unathletic adolescence, Caitlin found vinyasa yoga in 2009 and loved how at home in her body it made her feel. As she continued to practice, she found that her physical, mental, and emotional wellness were more deeply intertwined than she had ever imagined. Yoga helped her find more balance and ease in everyday life, along with space for exploration and play—yoga is fun! Caitlin joined the Yoga for All Beings community shortly after the studio opened and completed her 200 hour teacher training with YFAB in spring 2016. She is honored to share this practice with others in classes that create space for mindfulness and self-care. Most of all, she is grateful for how yoga can teach us to inhabit our poses and our lives with integrity, strength, and grace. Our latest teacher feature is YFAB yoga teacher, Melissa Kirschner. Read on as Melissa shares some fun facts about herself with our community! 1. 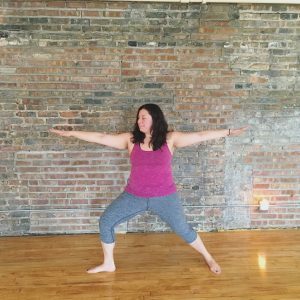 I took my first yoga class in college almost 15 years ago…and didn’t like it at all! I could not get my inhales and exhales to match the teacher’s cues. 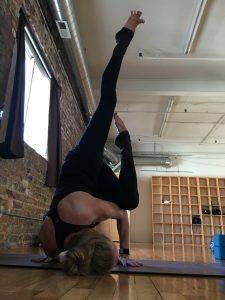 I reluctantly returned to the mat three years later and I’m so glad I did–I have been practicing ever since! 2. I LOVE travel. Aside from yoga it is truly my passion. Especially international travel and experiencing new cultures. 4. I was an art major in college and still enjoy drawing and painting…when I can find the time! You can also find Melissa subbing classes at the studio. To see our current weekly schedule, click here. 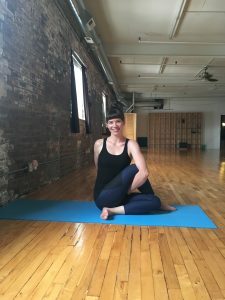 After over a decade of practicing yoga, Melissa Kirschner was inspired to deepen her practice by participating in OmBodies teacher training program. It was a transformational experience! Not only did she learn more about her own practice, but came to realize how much she enjoyed teaching and sharing yoga with others. 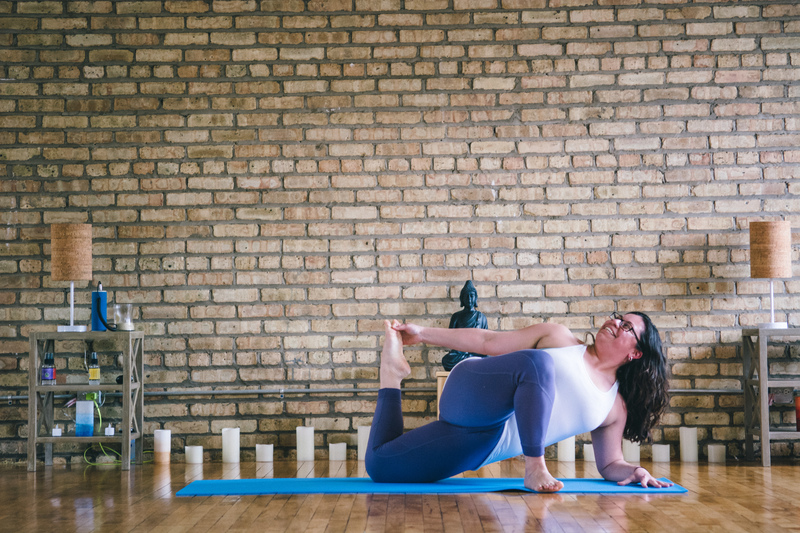 Melissa’s goal as a yoga instructor is to make yoga accessible to everyone, with a particular interest in sharing yoga with underserved populations. Her classes focus on alignment, breath, and providing space for students to explore each pose. Students can expect a balance of effort and ease, and to leave class feeling more relaxed and centered. Meet our latest Yoga For All Beings Teacher Feature, Erin Zastrow! – I stumbled on yoga 6 years ago when I bought a Groupon to a studio so I could take a belly dancing class with a friend. – I am mom to an 8 month old baby boy, and a very needy husky. – I grew up riding horses, and was on the equestrian team in college. – I have been a speech pathologist for 10 years. – I believe I could survive on coffee, donuts and cheese, they are my 3 favorite foods! Catch Erin’s classes at Yoga For All Beings on Saturdays at 4pm and you can also find her a subbing for many other yoga classes on the schedule. Read on about Erin Zastrow in her biography below. 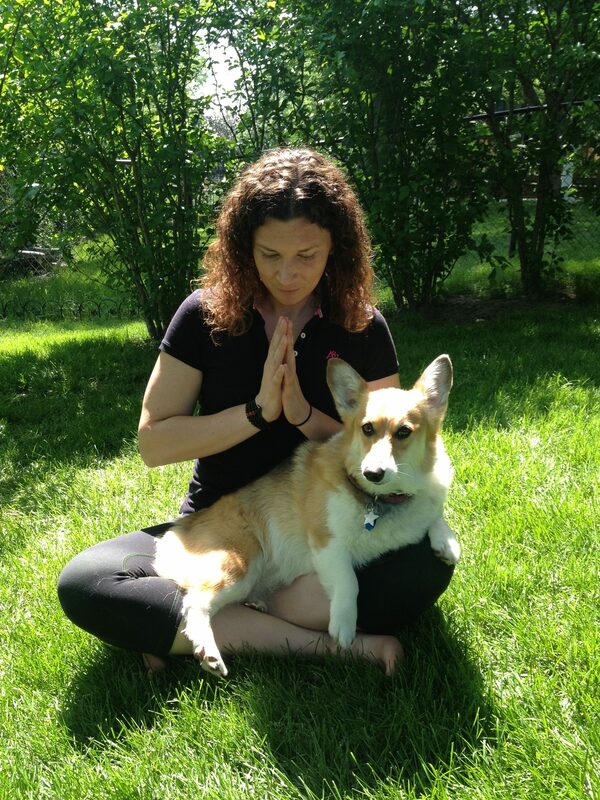 Erin’s journey into yoga began in 2011 as a gentle form of exercise following a knee injury. After exploring various styles, she grew to love the vinyasa practice. The physical healing that occurred had her hooked. In later classes and trainings she really began to explore the yoking of body, mind and spirit and made the decision to enroll in teacher training so she could share her love for the practice with others. 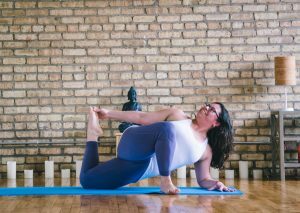 She completed her RYT at Zen Yoga Garage, followed by an apprenticeship with Margo Kellison-Lightburn. 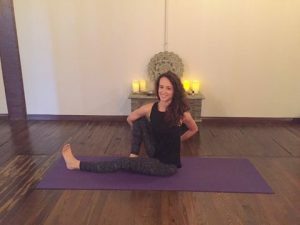 Erin’s classes encourage self exploration, focus on breath work and alignment based flow. 1. I am a huge fitness fanatic! I’ve been a runner since 2001 and have run five marathons. I love doing boot camp workouts and also weight training. I obtained my personal training certification in 2014. My latest fitness endeavor is taking Krav Maga classes! 2. Ever since I was five, I wanted to play flute. I was lucky enough to start playing when I was nine. I majored in flute performance in college. In addition to flute, I also play piano. I sometimes play flute during savasana in my classes. 3. I absolutely love ice cream and will eat it even when it’s freezing cold outside. My favorite flavor is mint chocolate chip. 4. I am a huge animal lover, especially dogs. I have run numerous races to raise money for PAWS, an organization that helps homeless pets. While I don’t have my own dog, my parents own a corgi, Maizy, whom I absolutely adore! Sarah teaches at Yoga For All Beings on Sundays at 11:30am (Core Yoga). Sarah grew up in the suburbs of Chicago. She attended Lawrence University in Appleton, WI and majored in flute performance and German. She then attended law school at the University of Illinois. Sarah has been an avid runner since 2001. She has completed five marathons, including three Chicago marathons, and multiple half marathons. 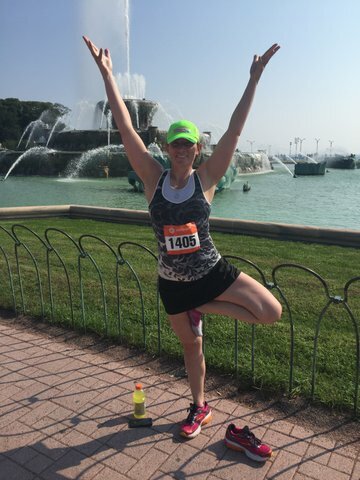 Sarah initially sought out yoga as a source of counterbalance to her running. She found, however, that yoga is way more than just stretching. Yoga has provided her a path to find peace and balance not only for her physical body, but her mind as well. She completed her yoga teacher training in June 2013. In addition to yoga and running, Sarah loves all aspects of fitness, including strength training and conditioning. She holds a personal trainer certification from the American Council on Exercise (ACE). 1. I’m a high school English teacher by day and yoga teacher by night (and Saturday mornings ). I absolutely love teaching–whether it involves a mat or a book! My students were required to complete a midyear survey and one question asked them to describe their teacher’s teaching style. One student responded: “Heavily influenced by yoga.” I can’t deny that. I try to bring mindfulness into my classroom as much as possible with breathing exercises and guided free-writing. Additionally, I sponsor the yoga club where I guide staff and students through their practices. 2. I have an unquenchable thirst for adventure and exploration. Whenever I’m given the opportunity to experience a new place or a new culture, I seize it. My next excursion will be this June in Southeast Asia. 3. I’m absolutely obsessed with coconut oil. I’m actually oil pulling as I write this while standing in tree pose in my kitchen. From hair masks, to coffee “creamer,” to cleaning a bike chain–I’m convinced that there’s no problem coconut oil can’t solve. Jessica was introduced to yoga in high school and fell in love with the vinyasa practice as it created a source of strength and balance in her life. Since she was a kid, she knew that her passion was teaching which led to her career as an English teacher at York High School in Elmhurst. 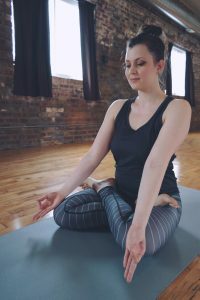 In 2014, after spending her summer abroad in Europe, she was determined to fuse her passion for teaching and yoga as she completed her 200-hour YTT through LifePower Yoga with Brenda Temme at LifeTime Fitness in Orland Park, IL. 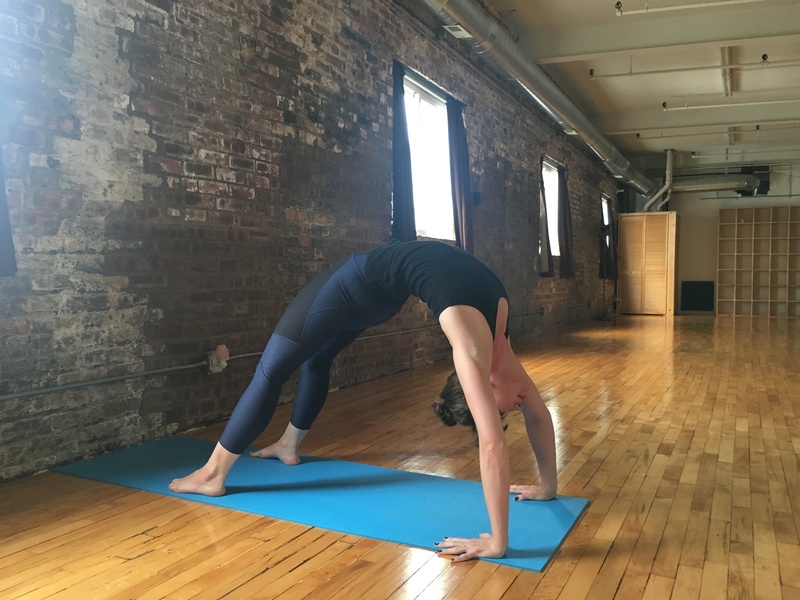 Upon the completion of her training, she brought yoga to the students and staff at York and taught classes at a fitness center in the suburbs. 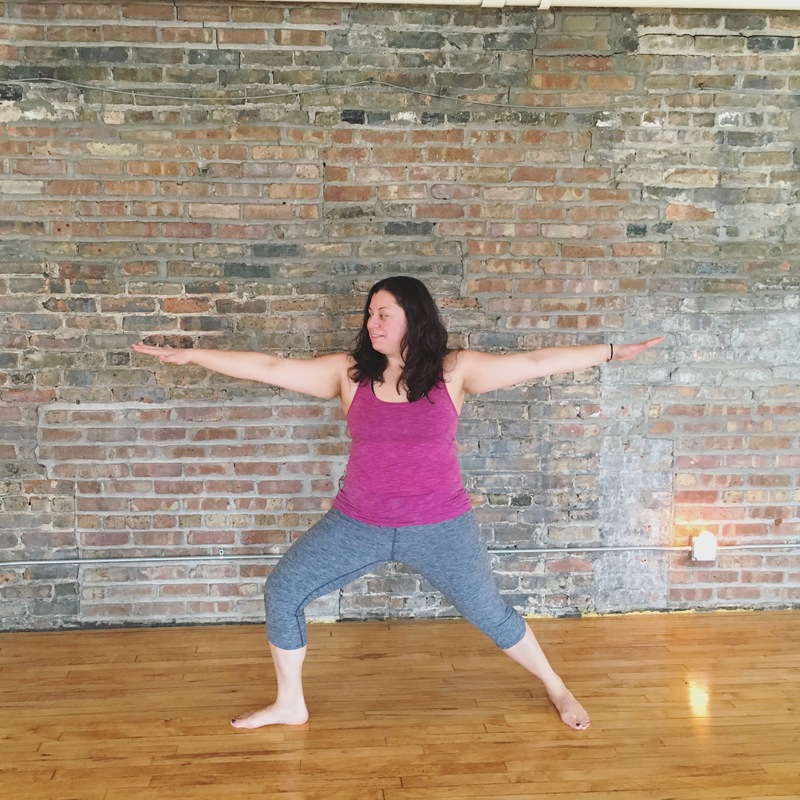 As a new resident of Chicago, she is excited to expand the sphere of her yoga practice and provide a space for all levels of yogis to connect their breath and movement in order to open their hearts and cultivate mindfulness. “I was born with defects in my lower extremities. As you can imagine, yoga has taught me so much about body awareness and the importance of alignment. Patience, acceptance, love, and peace with myself and my practice has been crucial to my growth as a person on and off the mat. Every time I get on my mat, I’m discovering something new about my body such as, what muscles do I need to strengthen or lengthen? 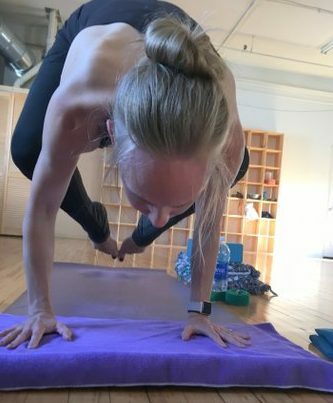 My yearn to learn about alignment and anatomy not only helps my teaching in the ways of keeping the body safe (I want to keep practicing asana when I’m 75) but it also unravels a deep understanding of my unique body and self. Over the past 13 years, I’ve built an IT career based solely through on-the-job training/experience (I graduated with a B.A. in US History). 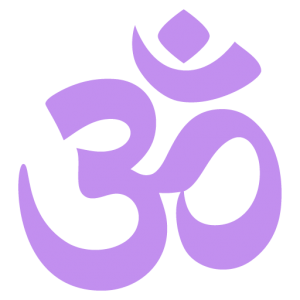 With that said, I’m in the midst of creating a yoga app …aaand that’s all i can really say about that without divulging too much info! If the app succeeds, it could be a dream come true! 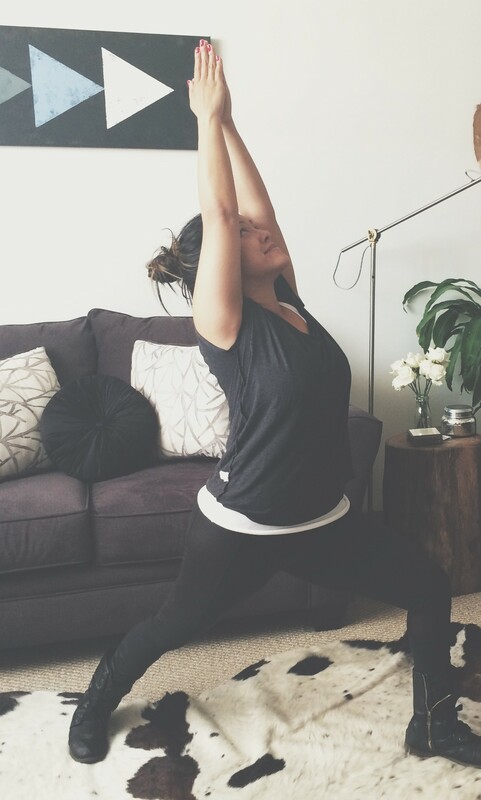 Kris Relucio loves the physical challenge of yoga as much as the spiritual and meditative aspect. She has grown tremendously in these areas through practicing; her main goal is to share her knowledge and help others do this as well. She believes a lot of how the physical/spiritual aspect of yoga is handled also reflects how personal and emotional challenges are handled off the mat. The most rewarding part is knowing that she’s reached someone on both levels, especially the spiritual realm, which can be a life-changing experience. Setting up students for success, listening to their physical, emotional + spiritual needs and wants will help them develop their practices. A true believer in self-growth, Kris is constantly finding ways to become a better teacher so she can pass it on to her students. 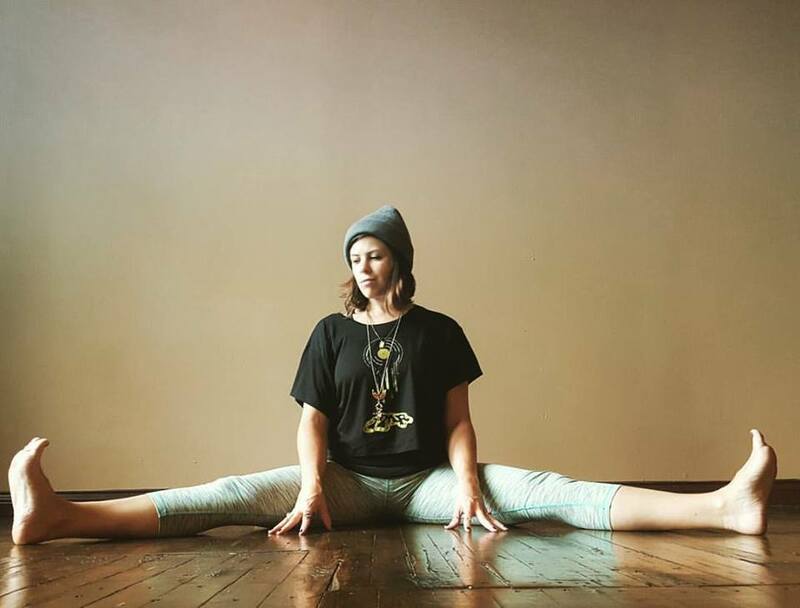 Kris’ style is down-to-earth and mindful vinyasa yoga with a strong emphasis in alignment and anatomy. Her style is indirectly inspired by ashtanga and Iyengar yoga, and she also loves yin + restorative yoga.